When getting new devices, it’s important to learn about the capabilities of these devices. Some of which are pretty obvious off the jump, but others require a bit more deep-diving in order to find the features. 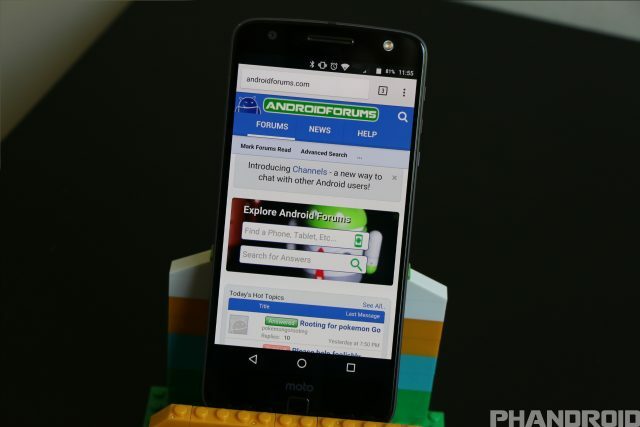 We’ve already covered what you should do with your new Moto Z Droid and Moto Z Force Droid as soon as you get them and we’re back with the best tips and tricks for these devices. With a new device, you don’t want to leave behind all those applications or information that were found on your old device. Luckily, Google has built-in the ability to easily restore all your apps during the set up process on just about every new device. 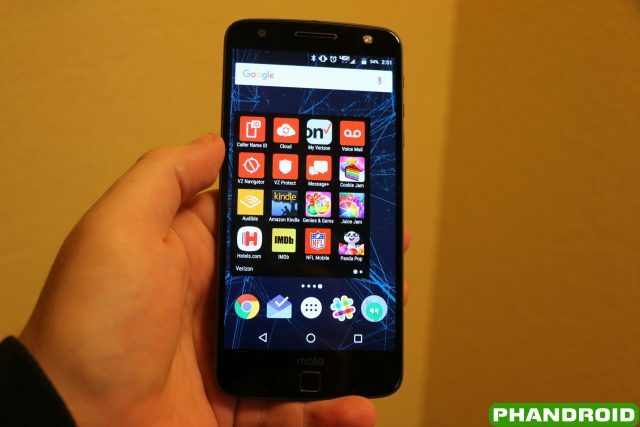 With the Moto Z Droid and Moto Z Force Droid, there are actually two ways for users to get all of their information from their previous devices, onto the new ones. 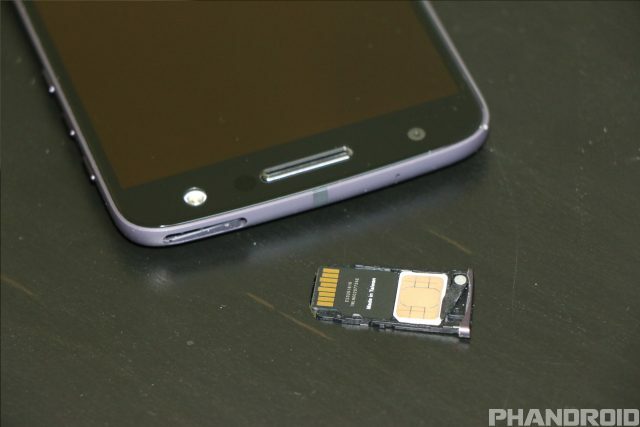 The first method requires NFC to be available on both devices, then once the devices are tapped together, the old phone will use Bluetooth to transfer all the necessary files. The second method takes advantage of Google’s ability to automatically backup all your applications and login information onto servers, which can then be pulled from the cloud and loaded onto your device. Once you have signed in with your Google account, you will then be presented with a drop-down menu which shows all the device back ups, then you just need to select the most recent one. The device will then load all of your favorite apps and data onto the new device, making for a seamless transition. It’s important to remember that the apps will have to be downloaded again, so make sure you are connected to a Wi-Fi network so that you don’t eat through all of your data. From time to time, we want to take a screenshot of what’s going on with our devices. Maybe it’s a funny picture or a set of text messages, and knowing how to take a screenshot is key. There are actually two different methods in order to take a screenshot with these devices. The first is the traditional method which uses the hardware buttons on the devices. Simply press and hold the volume down and power buttons, then your screenshot will be taken. 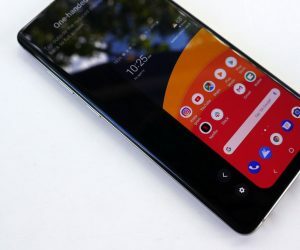 The second method makes use of Google Now On Tap, which is activated by simply pressing and holding the on-screen home button then tapping the share icon. This method doesn’t automatically save the screenshot to a specific folder, but you can upload the screenshot to Google Photos, making it easy to access. If you haven’t already set up a lock screen pattern, PIN, or password, you’ll be directed to set that up now. Choose which finger to use, touch the scanner until it vibrates, then lift your finger. Continue to repeatedly touch the scanner until the fingerprint has been successfully recorded, while making sure to not use the same area on your finger. Once the fingerprint has been successfully recorded, tap Done. Once completed, you can always decide to head back to this Settings menu if you want to add more fingerprints, and you can ever add the same fingerprint twice. This may come in handy if you’re experiencing issues with the fingerprint scanner recognizing your various fingers. There’s always the potential for us to get clumsy and leave our precious devices behind somewhere, or be subject to a thief taking them from us. That’s where Android Device Manager comes into play. This is a service provided by Google which shows you the last known GPS location of your device. Once located, you can also sound an alarm, lock the device or even factory reset the device remotely in case you’re positive the device is unretrievable. 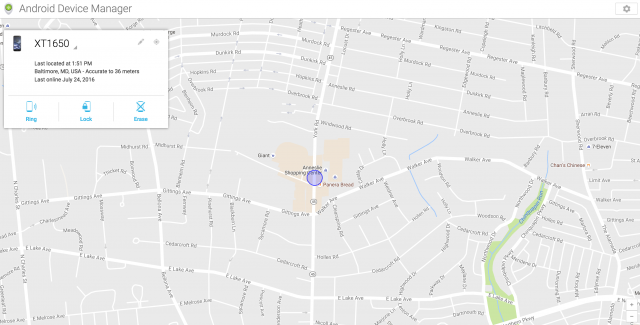 This feature is included with just about every Android phone nowadays, but must be activated on your smartphone before you can take advantage of Android Device Manager. Once turned on, you can head over to the Android Device Manager webpage to locate, ring, lock, or wipe your device remotely. 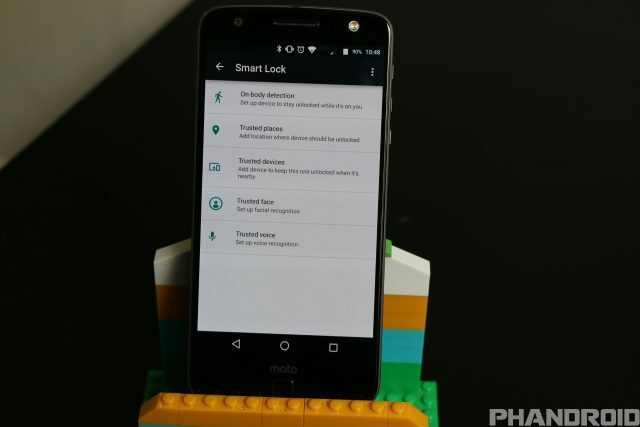 Smart Lock is a feature built into Android which allows you to bypass the need to enter a password when you’re in “Trusted” situation. The situations range from being at home to using your voice, and will speed up the unlocking process on your device. Setting up Smart Lock is recommended for everyone looking to further personalize your device, but there are some windfalls to be weary of. Trusted devices – keep your phone unlocked when connected to specific devices (speaker, car, smartwatch) via Bluetooth. Trusted places – keep your phone unlocked when you arrive in specific places (home, work, etc.). Trusted face – phone will automatically unlock when it recognizes your face after turning the screen on. 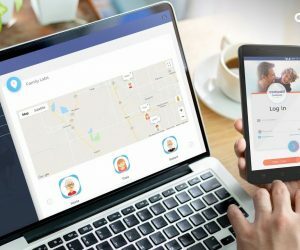 Trusted voice – unlock the phone using your voice. On-body detection – keep your phone unlocked while it’s on you (phone locks once it’s been set down). Once Smart Lock is set up, it’s important to remember that if the device meets any of the pre-requisites above, you may susceptible to others unlocking your device. So be sure to keep your device out of the hands of friends who want to “hack” your Facebook or Twitter profiles and post obscenities. When the time has come to get rid of your trusty devices, you’ll need to factory reset it to make sure that none of your information is left behind. Before doing this, we recommend for you to ensure that all of your pertinent information, including pictures and videos are backed up beforehand. Once completed, the steps to performing a factory reset are pretty straight-forward. 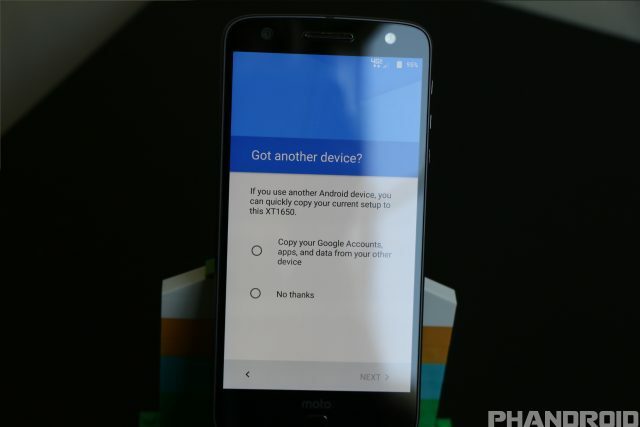 Now your Moto Z Droid or Moto Z Force Droid will wipe everything clean and will return the device back to its factory state. Although the fingerprint scanner on these devices does not double as a home button, there is an extra feature built-in to help you quickly turn your display off. Simply place your finger on the fingerprint scanner for a second or two while your display is on, and the display will turn off. Being able to do this will allow for you to avoid dealing with the power button on the side, which is oddly placed on the Moto Z Droid and Moto Z Force Droid. 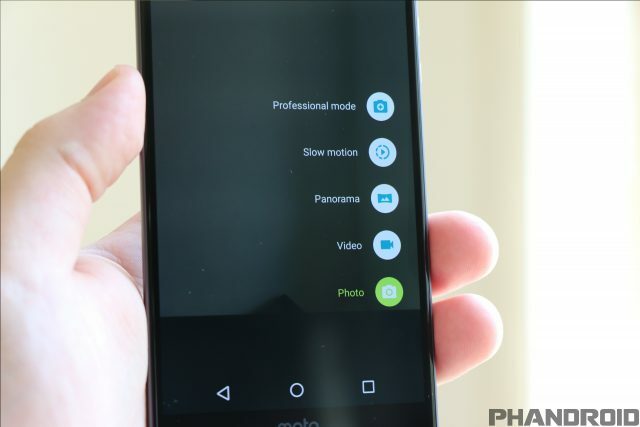 When the Moto X was first unveiled, we were all introduced to Moto Display and Moto Assist which brought us a few more features packed onto an almost stock experience. 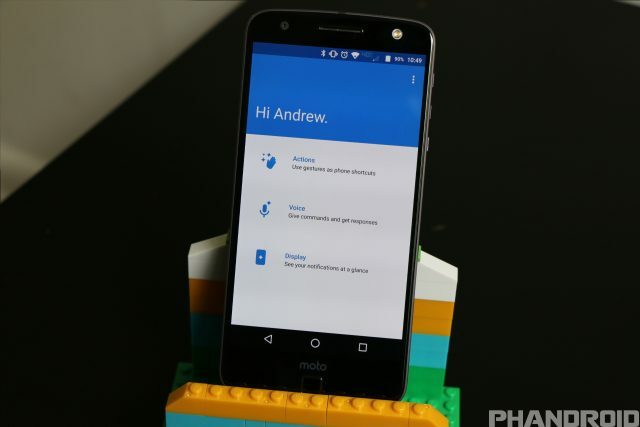 The inclusion of these software features have set Motorola devices apart from others in the pack, and have continued to be updated as new devices are released. 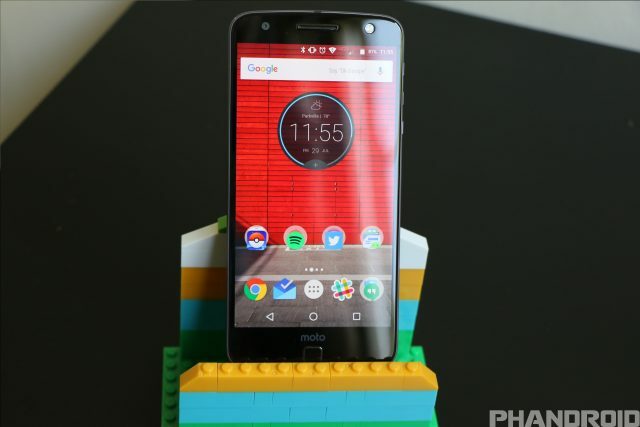 The Moto Z Droid and Moto Z Force Droid are the latest to feature Moto Display, although the Moto Assist app has been rebranded to just being named “Moto”. 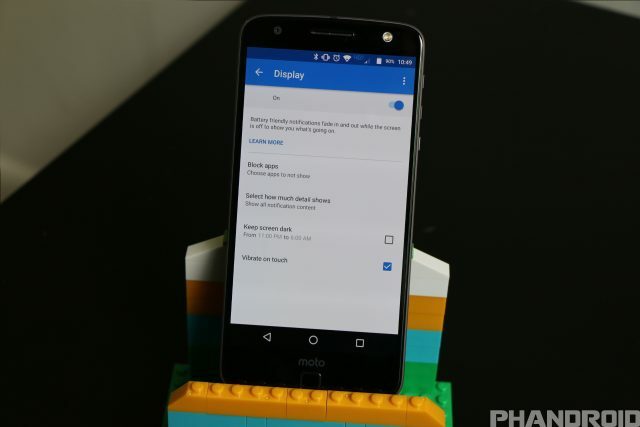 Moto Display is arguably the best software feature to be added to a Motorola device, as it makes it extremely easy to glance at our notifications, without needing to tap the power button, or unlock the device. 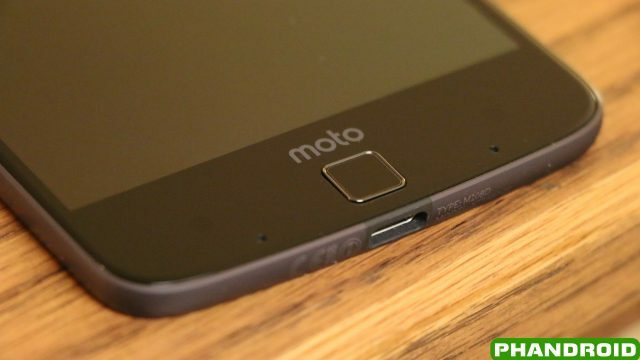 Moto Display works in conjunction with the two proximity sensors located on the front of the Moto Z Droid and Moto Z Force Droid, requiring you to simply wave your hand over the display to get a breakdown of your notifications. Toggle a vibration when the notification bubbles are touched. Once set up, Moto Display can be customized to your liking, and will further increase the functionality of an already useful software feature. 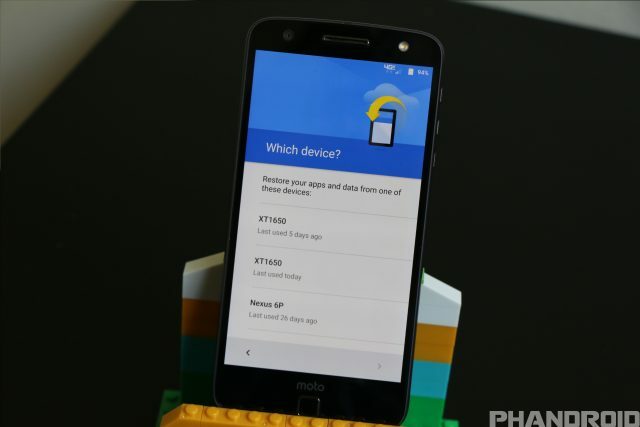 If you’ve ever heard of Moto Display, chances are that you’ve heard of being able to turn on the flashlight with just a quick gesture on Motorola devices. With these latest devices from Motorola, you can now do so much more that will increase the functionality of the devices. Attentive Display – Keeps display on while you’re looking at it. The screen will dim or sleep while you’re looking at it. Flip for Do Not Disturb – If you’re busy and can’t take a phone call, simply flip the device onto its display to turn on Do Not Disturb mode. 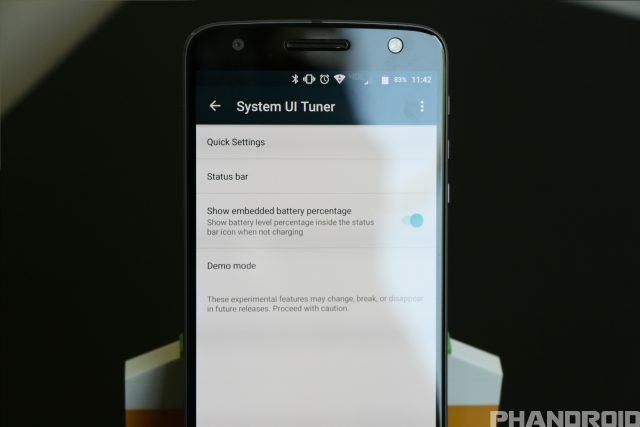 All of these features are easily accessible and can be turned on or off at any time from the Moto application. Another one of everyone’s favorite features with Motorola devices is the ability to customize Voice commands, by being able to personalize the launch phrase. 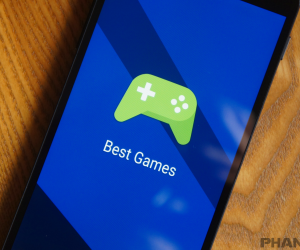 Although this is already available with Google Now, users are limited to just the “Ok Google” phrase. With Moto Voice, you can literally choose any phrase you want. 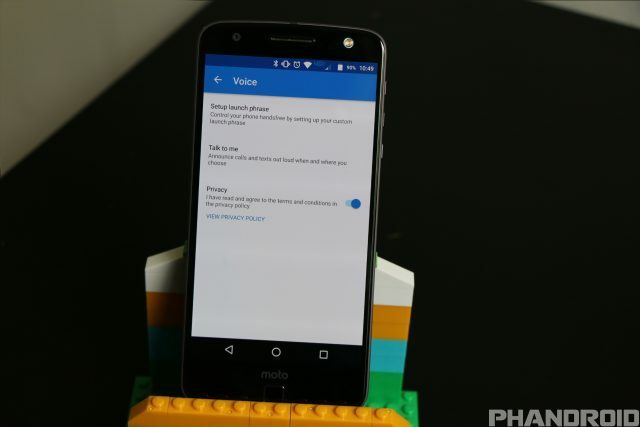 Also within Moto Voice is the ability to have the service announce phone calls and text messages out loud while you’re driving or when a headset is connected. You can also add a new location for where Moto Voice announces your calls and texts. It’s important to keep in mind that the application will be activated within a certain distance of your location. So don’t be surprised if you’re just pulling into the driveway and the phone calls or text messages are announced anyways. Along with being able to quickly launch the camera by flicking your wrist twice, there’s another easy way to open the camera without unlocking your device. 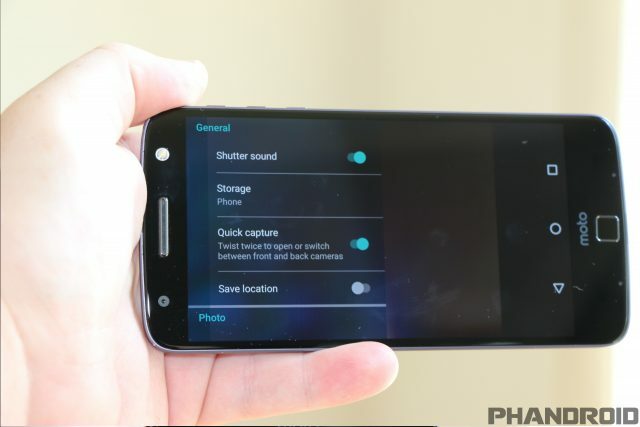 Simply double-click the home button twice, and the camera will activate.This feature was first introduced alongside Android Marshmallow, but some manufacturers have removed this ability. 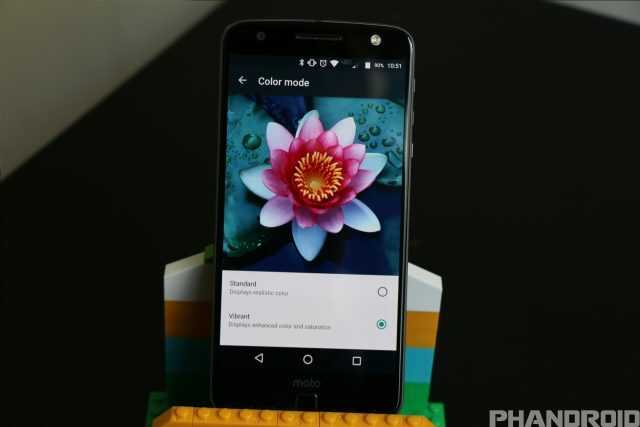 Luckily, with the Moto Z Droid and Moto Z Force Droid, this feature is available and doesn’t require any additional setup out of the box. Although the Moto Z Force Droid has the ability to take higher resolution photos (21MP), both devices have the ability to shoot video in 4K. As a reminder, if you’re looking to keep 4K videos backed up via Google Photos, this will take away from the data storage limit within your Drive account. 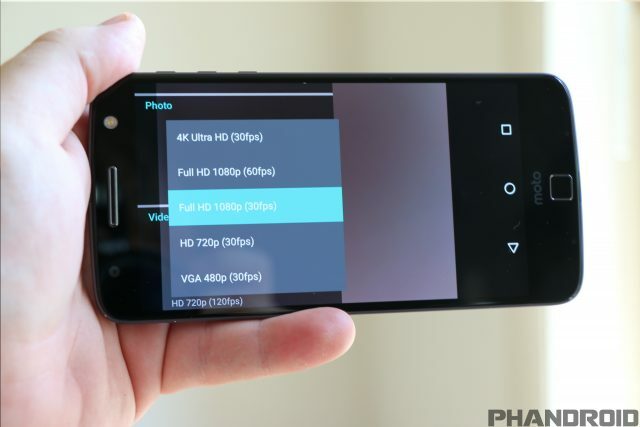 If you want to freely back up any amounts of video, you’ll need to switch to Full HD 1080p within the Camera app. 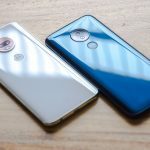 In an effort to turn your Moto Z Droid and Moto Z Force Droid into the best camera possible, Motorola has integrated a few different camera modes to capture your favorite moments. Professional Mode – Turns on the ability to have more control over your photos by giving you the ability to change the White Balance, Timer, ISO and Focus. This mode isn’t the best when trying to quickly take some pictures, but if you’ve got time to capture a shot, this is where you’ll want to be. Panorama – Use the camera to take multiple pictures which are automatically stitched together to create one wide panorama shot. Video – Take videos in a snap, for as long as you need. 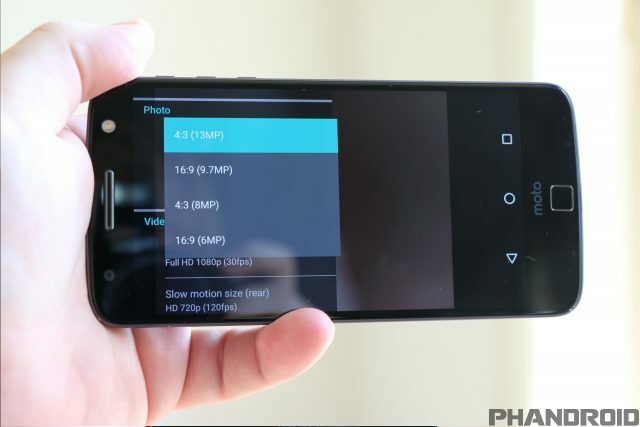 You can shoot videos in different resolutions including 720p, 1080p, or even 4K Ultra HD. Photo – Snap pictures without thinking twice about settings as everything is automatically done for you. Switching between these different modes is pretty easy as all you’ll need to do is tap the camera icon above the shutter button to switch. You definitely don’t want to lose those pictures of your friends birthday party, or that memorable night at the ball game. 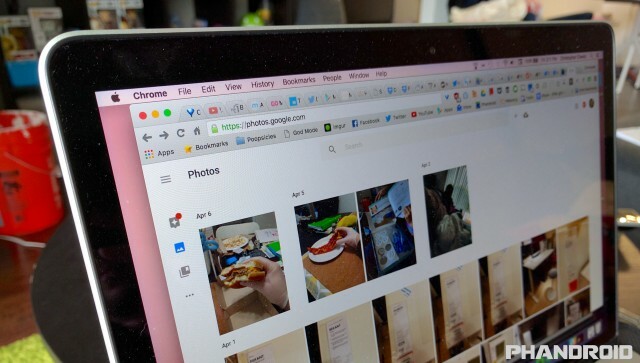 In order to make sure that doesn’t happen, be sure to open up Google Photos and back up all the pertinent folders so that your favorite moments don’t disappear. Just as a reminder, Google Photos offers unlimited high-quality picture and video backups (up to 1080p), so you’ll never run out of space. When it comes to monitoring our battery levels, some of us can be a bit obsessive. Being able to easily glance at the status bar and see the exact level makes for a more controlled way to see how much life our devices have. Out of the box, this optioned is turned off, but there’s an quick way to turn the specific battery percentage level on, instead of relying on the battery icon. One thing that Motorola has been amazing at since the inception of the Moto X is knowing what the customer needs, for the most part. One of the biggest complaints today is the inability to make it through a full day without needing to reach for a charger. 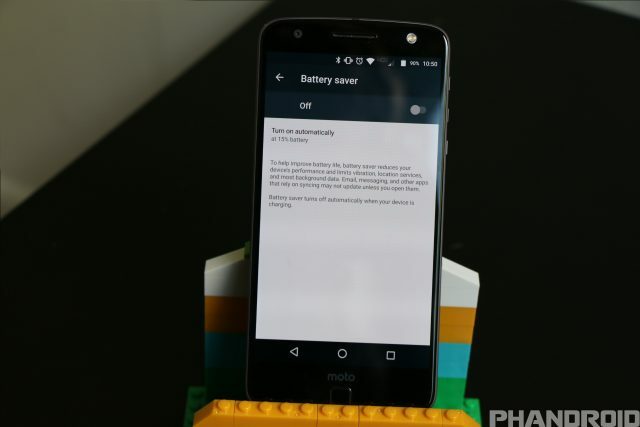 Although the Moto Z Droid and Moto Z Force Droid don’t provide humongous battery capacities, Motorola opted to help us out in another way. 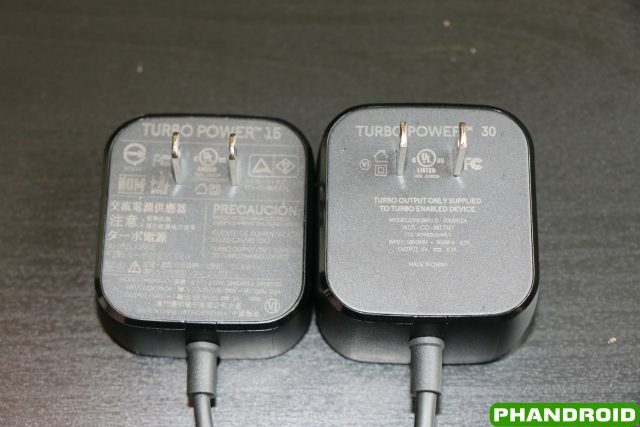 With the TurboPower Chargers, you can quickly charge your devices up and get enough power to make it through the rest of the day. With the Moto Z Droid, a 15-minute charge with the TurboPower 15 is touted as being able to deliver another 8 hours of life before needing to plug in again. With the Moto Z Force Droid, the included TurboPower 30 is touted as giving your device an extra 15 hours of battery life with just a 15 minute charge. Both of these chargers feature Qualcomm’s Quick Charge capabilities, which makes it extremely easy to make sure you have enough juice left in the tank to get you through the rest of the day. When you can’t reach for a charger, Google has created a fail-safe to help users make it home without worrying about their devices dying along the way. Battery Saver is a feature which can be enabled at either 5% or 15% and will save every bit of juice it can so you can make it to that charger. Once turned on Battery Saver will reduce general performance, as well as limiting vibration, location services and background data. You may not get your notifications right away when Battery Saver is turned on, but once you have safely reached your TurboPower charger and the device is back up to above 15%, everything will begin rolling in. One of the keys to not having your battery life drain before your eyes, is having your device automatically change the brightness to adapt to whatever situation you’re in. You don’t want to be staring at an overly bright screen while laying in bed, and you need to be able to see what’s happening on your phone while you’re out and about in the daylight. For some reason, adaptive brightness is automatically turned off when you first start up the Moto Z Droid and the Moto Z Force Droid, but turning this on is easily accessible within the Settings. 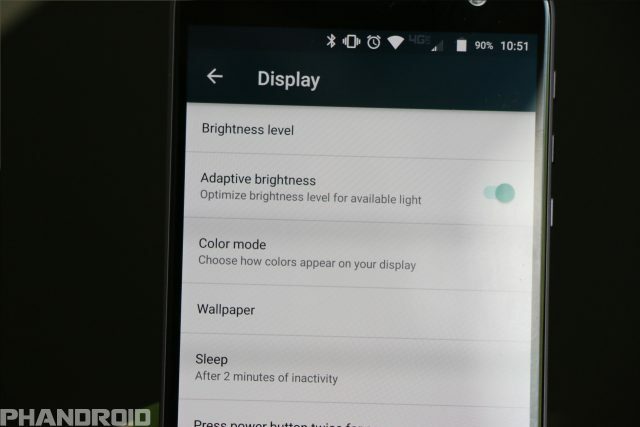 Now your device will automatically adjust the brightness level of the display depending upon the amount of light. Once completed, you will easily be able to pull up that new restaurant you and your friends are texting about, and check out reviews on it. 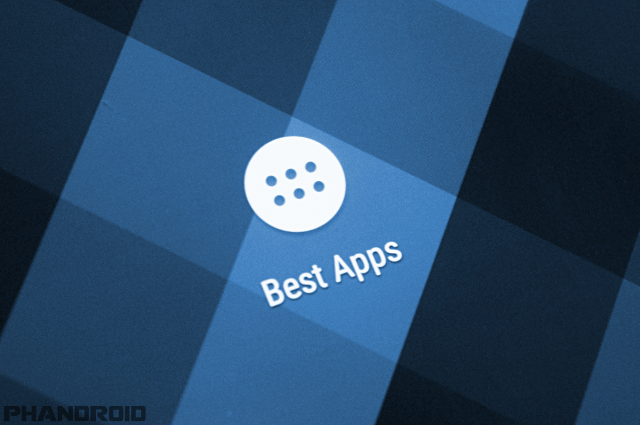 You can also easily share screenshots, search for anything, or select any text on the screen without needing to deal with any other applications. Google has even added the ability to translate foreign text so you can figure out what’s going on. 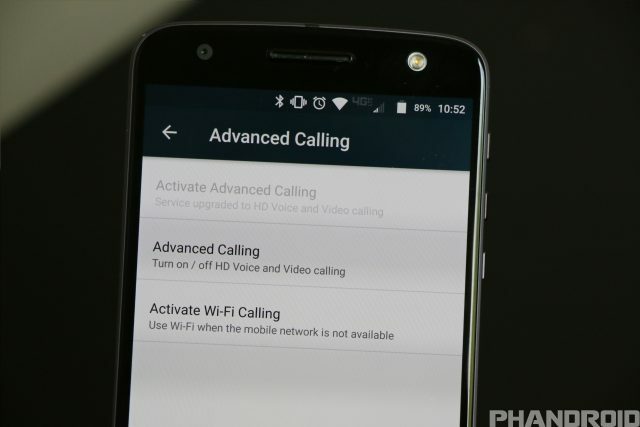 Included with both the Moto Z Droid and Moto Z Force Droid is Advanced Calling features. These features allow for your phone calls to be in crystal clear HD quality, as well as the ability to make phone calls over Wi-Fi. The biggest upside to activating Wi-Fi calling is the ability to make free calls using your Wi-Fi without needing to worry about whether your cell signal in your home is less than ideal. When using Wi-Fi calling in your abode, and then continuing a phone call after leaving home, the transition is smooth and the phone call will switch from Wi-Fi to Verizon’s network without hitch. 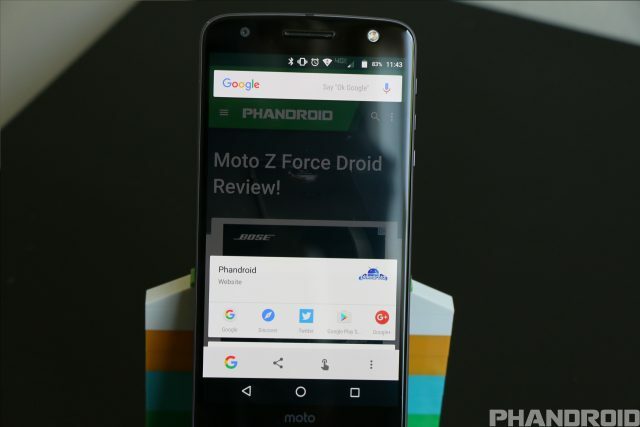 For some reason on the Moto Z Droid and Moto Z Force Droid, the default launcher is not Google Now Launcher. 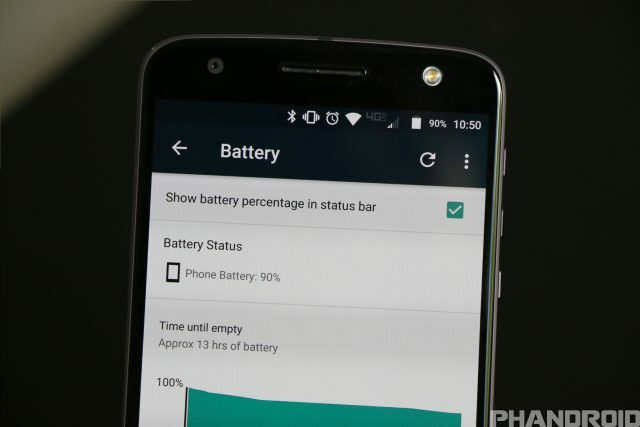 This is a change of pace when looking at just about every other device that has recently been released by Motorola. 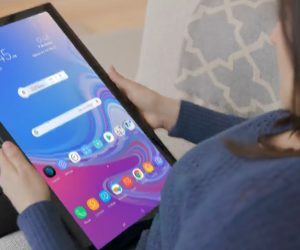 This may be due to the Verizon exclusivity for these devices, but luckily, you can easily download Google’s own launcher, and get the best of the Google experience. Best of all, it’s completely free. Within the notification shade on our devices, is a panel of quick-setting toggles that can turn or turn off various features on our devices. While handy, these toggles may not be in the best order for us to get to them, or may not be necessary at all. There’s an easy way to change around what toggles are shown, but it requires us to access another hidden settings panel known as the System UI Tuner. 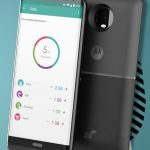 The Moto Z Droid and Moto Z Force Droid feature flagship specs in a compact package, making them two of the fastest devices on the market. Unfortunately, things may not feel that way once you’ve unboxed them and have started getting everything set up. 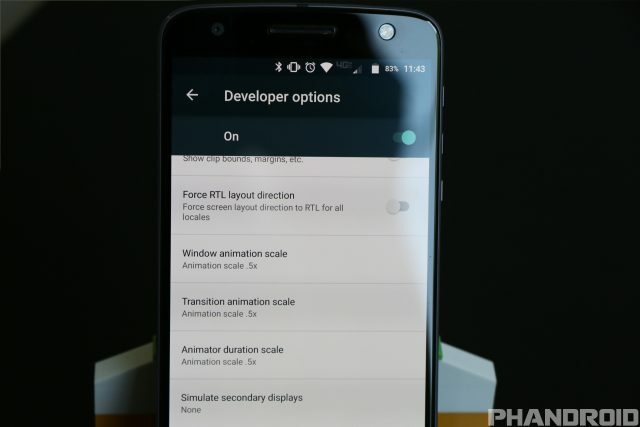 The animations may seem a bit slow, and the UI experience isn’t all that mind-blowing. However, there’s a secret menu that changes the speed of the animations, which will make you feel like you’re flying through every app and menu while playing around. Once finished, exit the Settings application and lock your device using the power button or fingerprint scanner. Once you unlock the device again, you’ll notice a HUGE difference in the speed of the UI, and opening apps will feel faster than ever. This may not work for every application, as some applications are required for the device to function regularly. However, if you notice that something’s acting a bit wonky, simple tap the disabled application and select Enable. Android Pay is the de-facto way for Android users to leave their credit cards at home and pay for things on the go. Since the Moto Z Droid and Moto Z Force Droid are both equipped with NFC, you can now set up Android Pay (as long as your bank is supported). 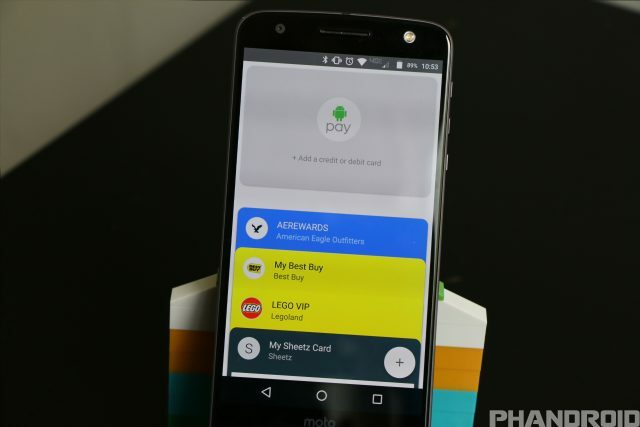 Also use Android Pay to keep track of all of your loyalty and gift cards. Android Pay will store all of your loyalty cards to your favorite stores, as well as make it easy to pay for things without ever taking out your wallet. You’ll just need to make sure your bank is supported, as well as look for the Android Pay logo at while you’re out shopping. 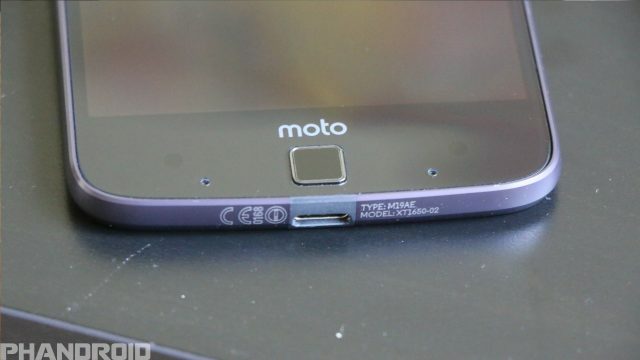 Other than the modular capabilities with these devices, Motorola and Lenovo also decided to forego the 3.5mm headphone jack in order to save space and create extremely thin smartphones. This causes a bit of a problem for those who don’t have Bluetooth headphones, and still want to listen to music during their workouts. 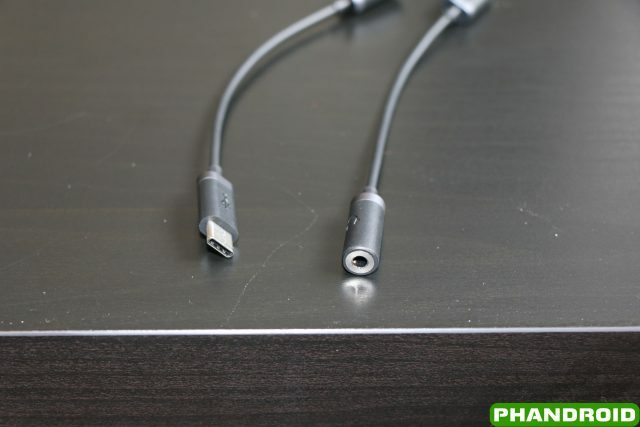 In a non-Apple move, both devices include a USB Type-C to 3.5mm headphone jack adapter which adds the headphone jack back, but also adds a few inches to the headphone cable itself. 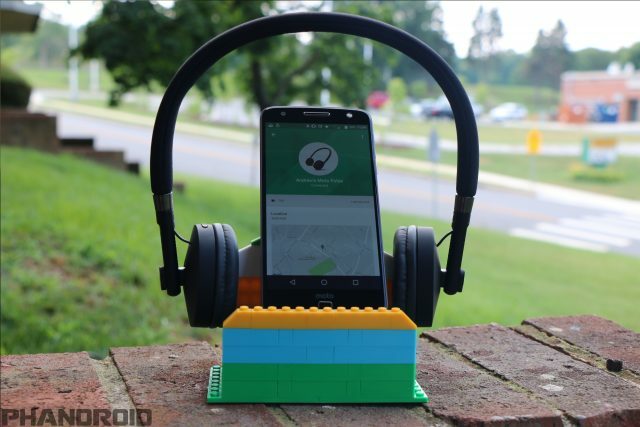 Since the Moto Z Droid and Moto Z Force Droid do not include 3.5mm headphone jacks, you’ll probably want to look into getting a new set of Bluetooth headphones. This will also come in handy with future devices, as we expect more manufacturers to remove the headphone jack to help create thinner devices, leaving users to rely on the USB Type-C port, or the aforementioned 3.5mm adapter. Since Bluetooth headphones have been around for some time, there are many different options to choose from which won’t break the bank. 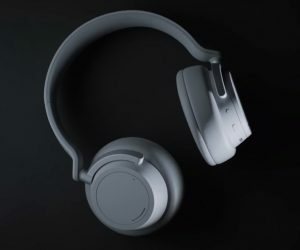 Once you have picked the best option for you, there will be some setup required to connect your new headphones to your new smartphone. 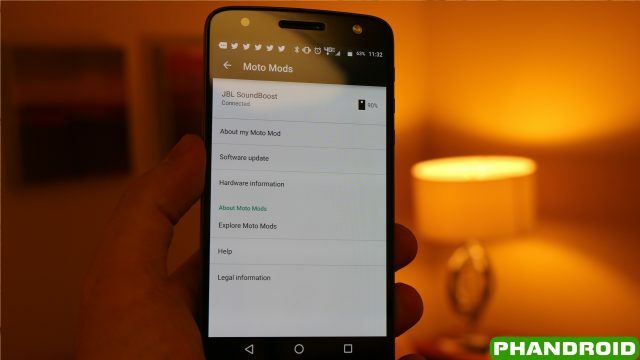 This step obviously requires a Moto Mod to be relevant, but once you’ve acquired your first Mod, there is some more information about the Mod hidden in the Settings. Simply open your Settings application and scroll down to the Moto Mods section. From here you can check the software, battery level, hardware information, or replay the tutorial. 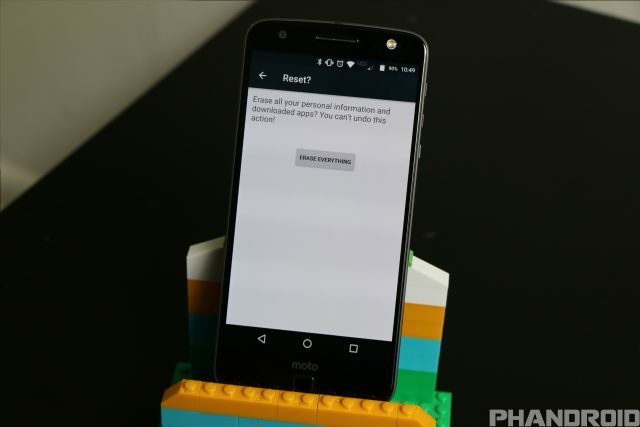 You can even reset the Moto Mod itself if you are experiencing any issues. The Moto Z Droid and Moto Z Force Droid are two great device options that will be coming to everyone later this summer. 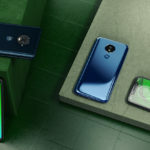 Their unlocked counterparts will be coming sometime in the fall, but in the mean time, everyone should check out AndroidForums.com where you can mingle with other potential owners of the devices.